Series 2900 models are cast iron, 2-way balanced or unbalanced, modulating, on/off or 3-way mixing and diverting designs. Particularly selected for moderate pressure drops, temperatures below 400 degrees, high capacity steam, water or compatible fluids, and gas applications. A wide selection of both electric and Pneumatic actuators and accessory instrumentation is available. SIZES: 1/2 to 10 in. 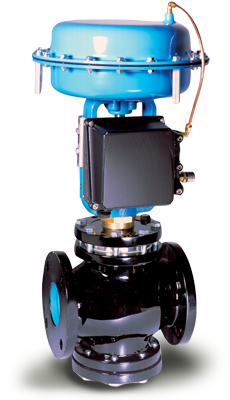 Many Control Valves are made in accordance with MIL-V-18030 and many Regulators to ASTM-F1370 (MIL-V-2042).  Most of these valves have been shock qualified to MIL-S-901 and vibration to MIL-STD-167.